Product categories of 2 Ton Gasoline Forklift, we are specialized manufacturers from China, 2 Ton Gasoline Forklift, Gasoline Fork Lift suppliers/factory, wholesale high-quality products of Petrol Forklift Truck R & D and manufacturing, we have the perfect after-sales service and technical support. Look forward to your cooperation! 2.0 Ton Gasoline & LPG forklift (SF20Y) which use gasoline and LPG as dual fuel. This type forklift which equipped with Nissan K21 or K25 engine included the device of gas tank, converter and bracket. 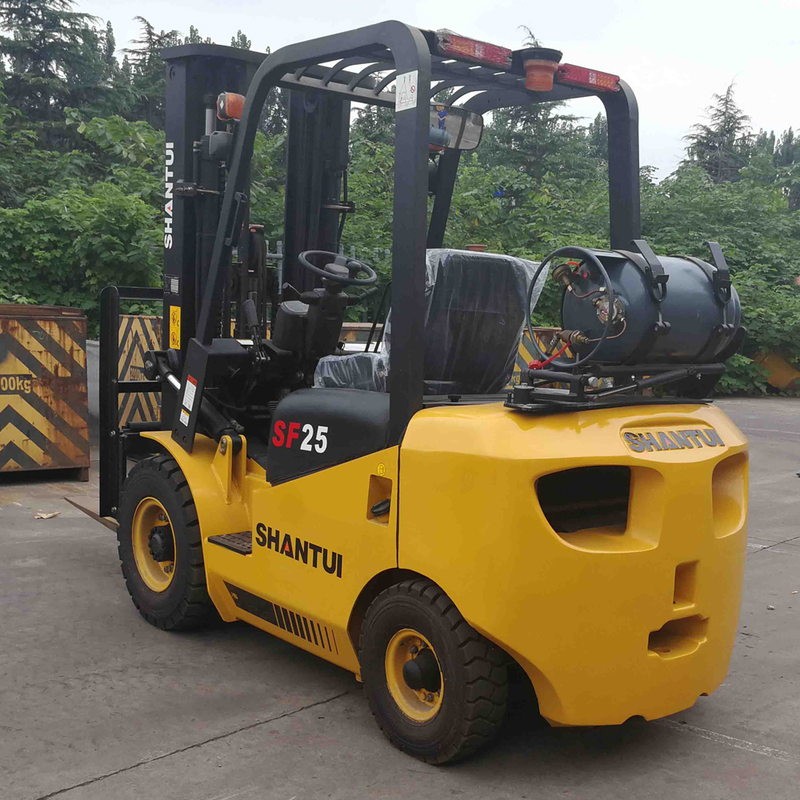 SHANTUI brand gasoline & Lpg Forklift Truck which has compact and reasonable structure, strong lifting capacity, low failure rate and good maintainability is widely used in stations, ports, airports, factories, warehouses and other places, it is the efficient equipment of mechanized equipment and short distance transportation. The engine is stable and reliable, with low fuel consumption, strong power, low noise and clean energy. The hydraulic joint specially designed for SHANTUI has high reliability and effectively reduces oil leakage. Adopt the domestic first class manufacturer's gearbox, transmission power is strong. The electrical system adopts the waterproof sealing plug-in structure and is safe and reliable. The forklift has reserved special maintenance space, making the subsequent maintenance more convenient. 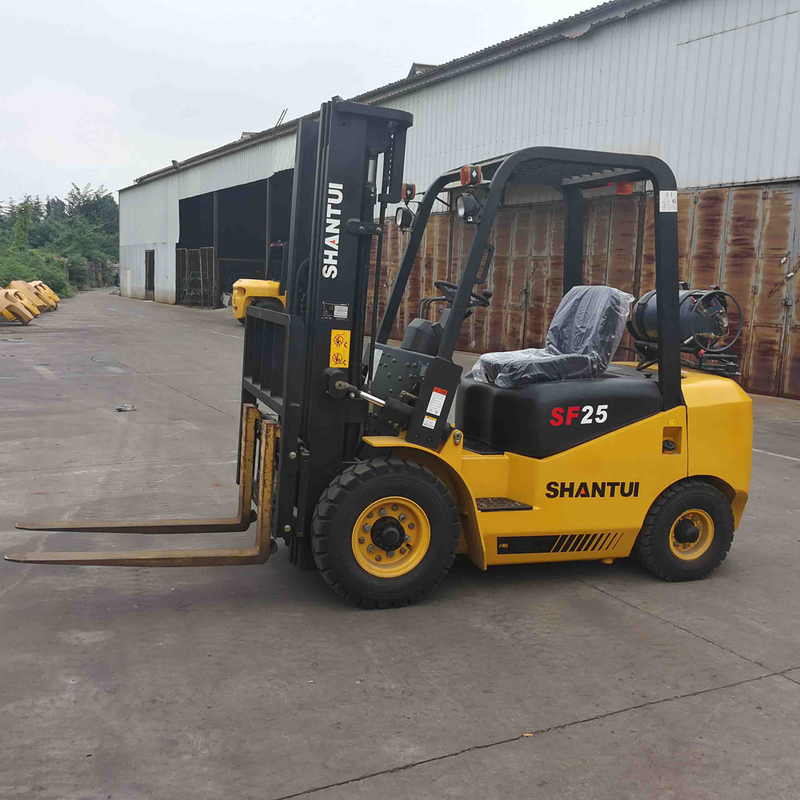 The forklift is optimized to the maximum extent, which improves the efficiency of the operation, effectively reduces the fuel consumption and energy conservation and environmental protection.